sculpture, large digital-C Prints and a video piece. junk bags, motorized arm, laser pointer. Gustavo is a robot that has been discarded in a black garbage bag. Out of this bag extends Gustavo’s motorized arm, with a laser that is carving a drawing on the wall. Do robots dream of being artists? Time Zones is about time and size, United States versus the Soviet Union, the cold war, the use of media as a vehicle for psychological warfare and the use of computers to control the “imperfections” of men. 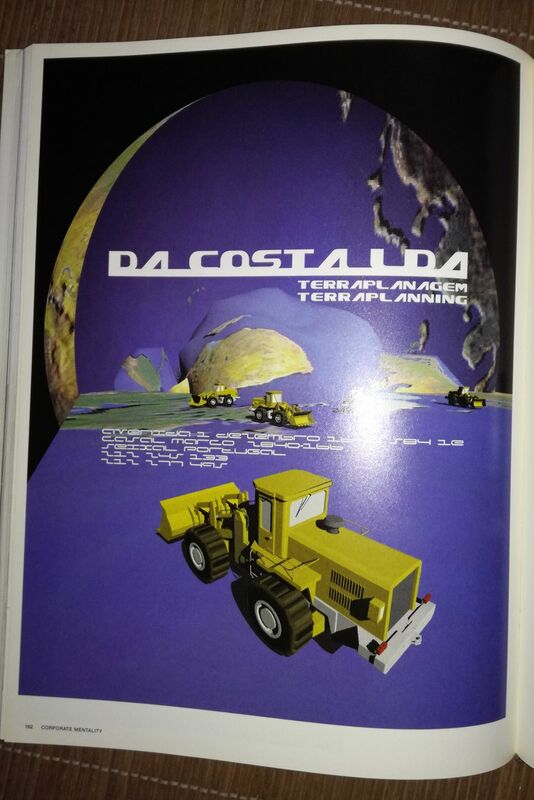 their audio work from 1987. 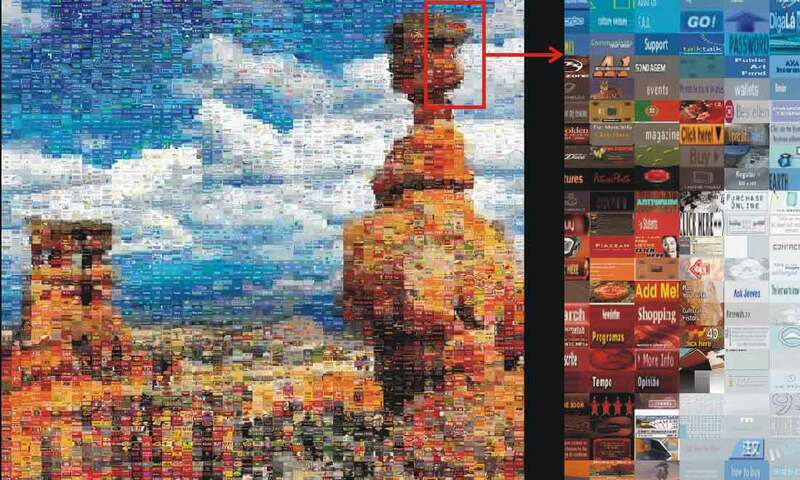 These images are composed from the juxtaposition of 5000 to 8000 smaller images taken from the internet. 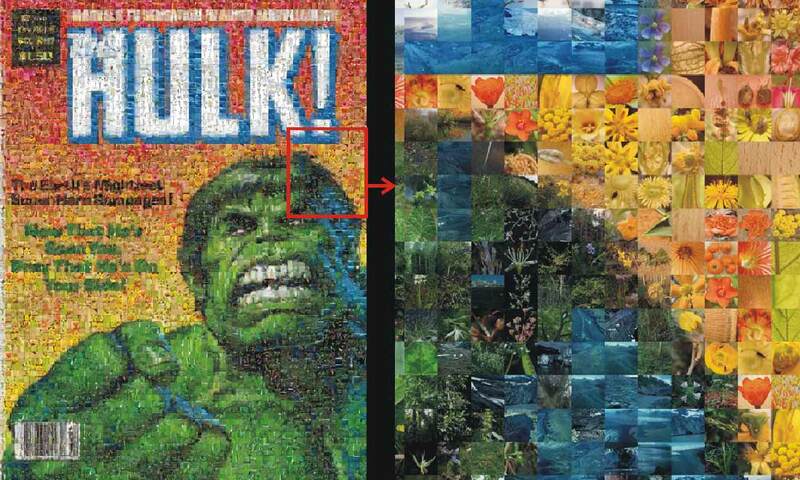 The cover of The Hulk magazine is made out of flower and landscape images. 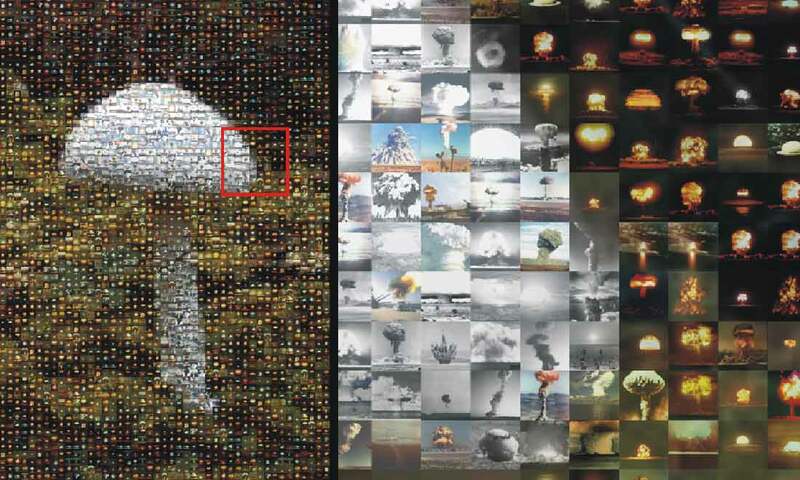 The Jet Fighter droping a bomb is made out of internet logos and buttons. from the Mosaic series, made during a residency at Location One, New York.